In March 1847, 8,000 soldiers landed on the beaches of Vera Cruz, led by the army’s commanding general, Winfield Scott-a heroic veteran of the War of 1812, short tempered, vain, and nostalgic for the glories of his youth. At his right hand is Robert E. Lee, a forty year-old engineer, a dignified, serious man who has never seen combat. 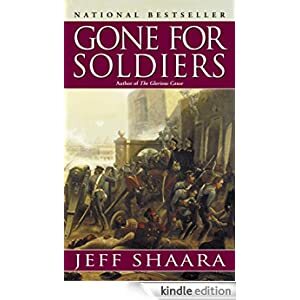 In vivid prose that illuminates the dark psychology of soldiers trapped behind enemy lines, Jeff Shaara brings to life the familiar characters, the stunning triumphs and soul-crushing defeats of this fascinating, long-forgotten war.